Reply to this comment to talk to me to keep my page clean! I just want to let you know real quick that I'm requesting your art of Harmony from RainySylveon to be in my group. 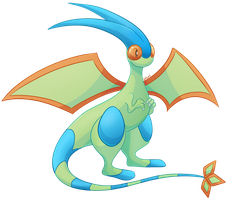 A shiny FLygon for you. Are you going to keep this group active? And the species? what do you say If I say to you that Virus just sent me a death's threat ?